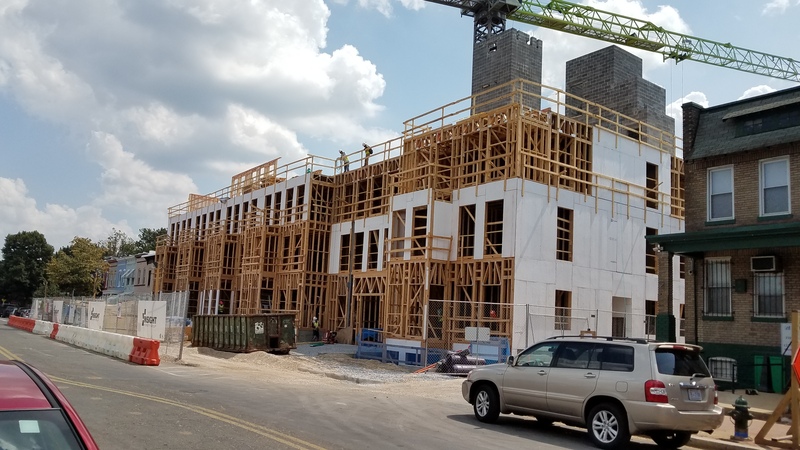 On June 5, Capitol Hill Corner posted a photo progress report on five major Capitol Hill developments. Three months later, here’s a progress report on those projects, plus two more. 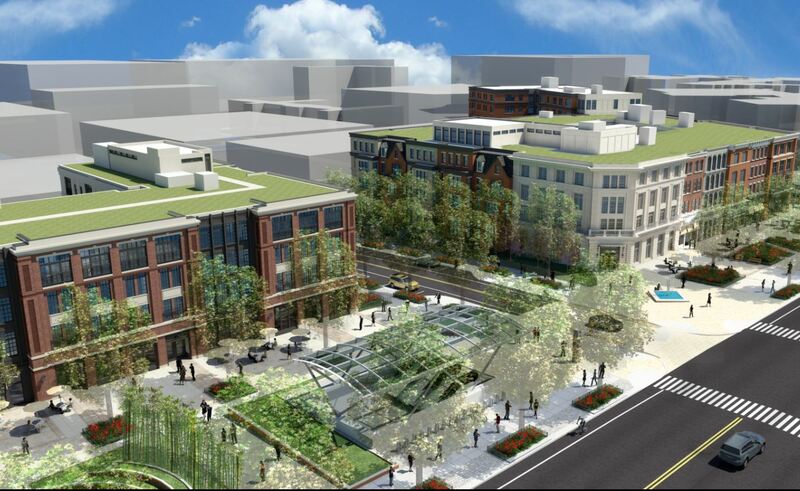 The seven projects will provide 1,185 residential units to Capitol Hill’s housing stock. Below are photos of where construction stands today, coupled with renderings of how the projects will look when finished. Frager’s, has seen substantial progress. View from 13th and Pennsylvania Avenue, September 1. Click to enlarge. 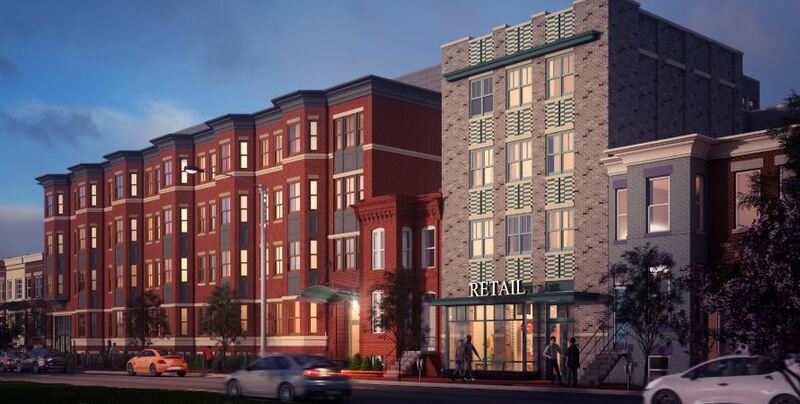 Frager’s – The original Frager’s site on the 1100 block of Pennsylvania Avenue SE, is being developed by Persus Realty. 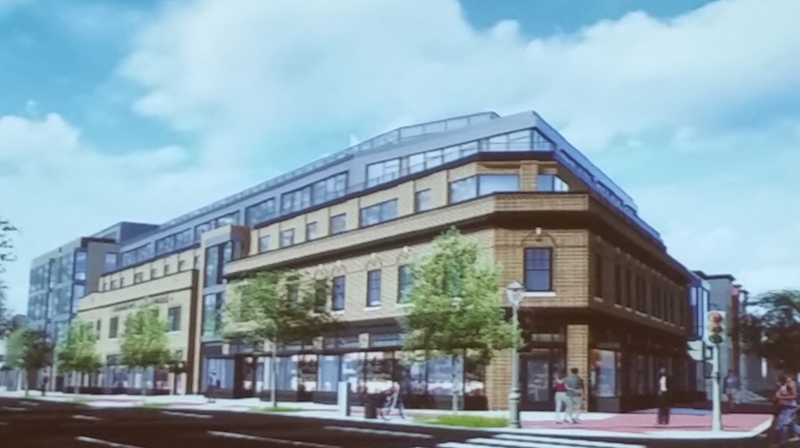 It will be mixed use retail/residential, with 34 condos. One, two and three bedroom units are intended to accommodate families. 10% of the residential space is required to be designated for affordable housing, under Inclusionary Zoning requirements. 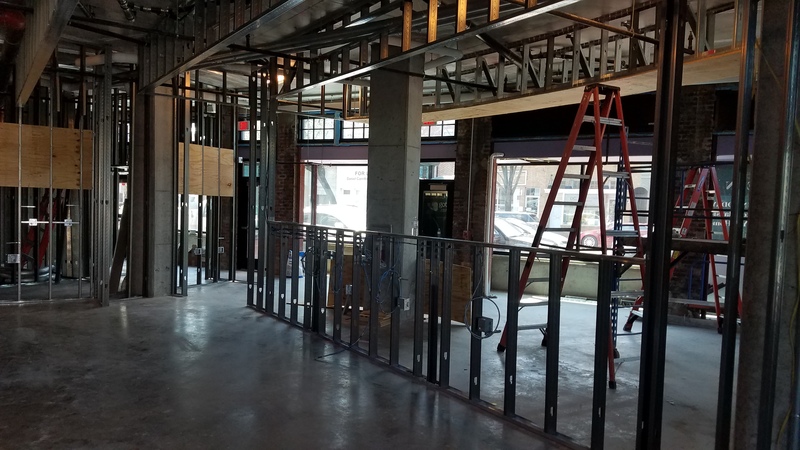 Frager’s Hardware will occupy 8,500 s.f. of retail space and an additional 7,600 s.f. of space will be for “community friendly” retail. 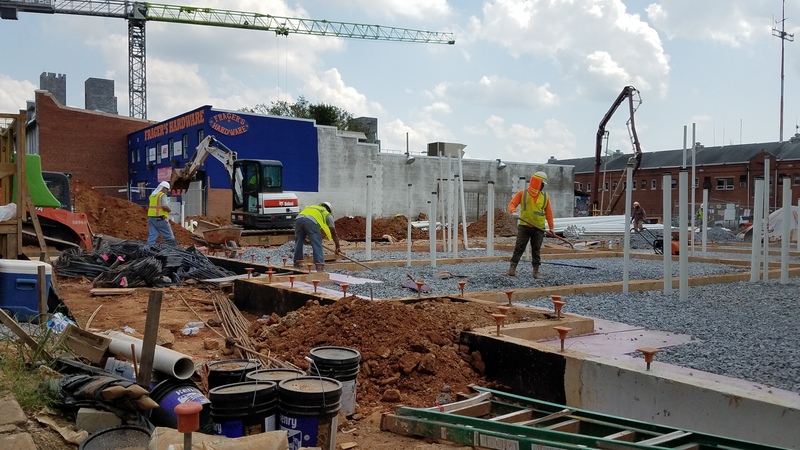 Watkins Alley is under construction at 1309 E Street, SE. View from E Street, SE, September 1. Watkin’s Alley – 44 condos, including 30 – 3 & 4 BR units, 8 – 2 BR flats, 6 lofts, and 1 carriage house. 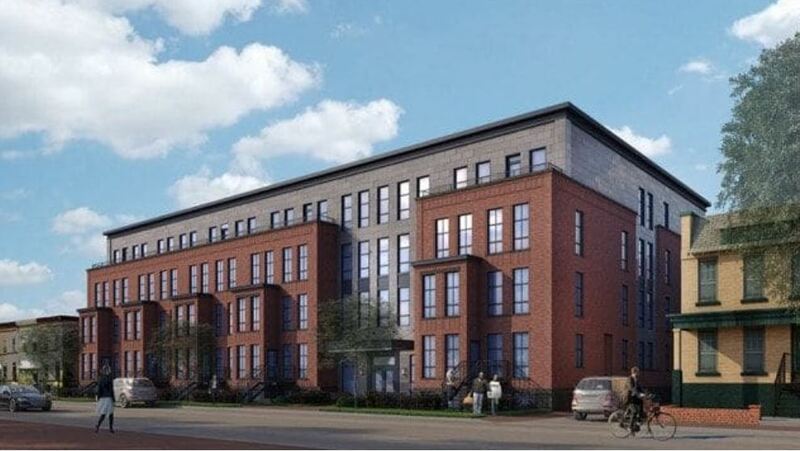 Five affordable units (3 townhouses and 2 flats) will designated affordable housing units under Inclusionary Zoning requirements. Lockwood – 1300 Block of E Street, SE. View from mid-block on E Street. 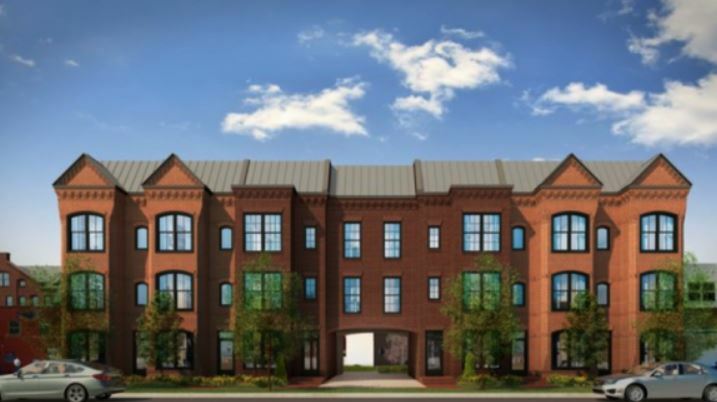 Lockwood will provide 145 boutique apartment units: 1, 2, and 3 BRs. Thirteen of the units will be affordable under Inclusionary Zoning. 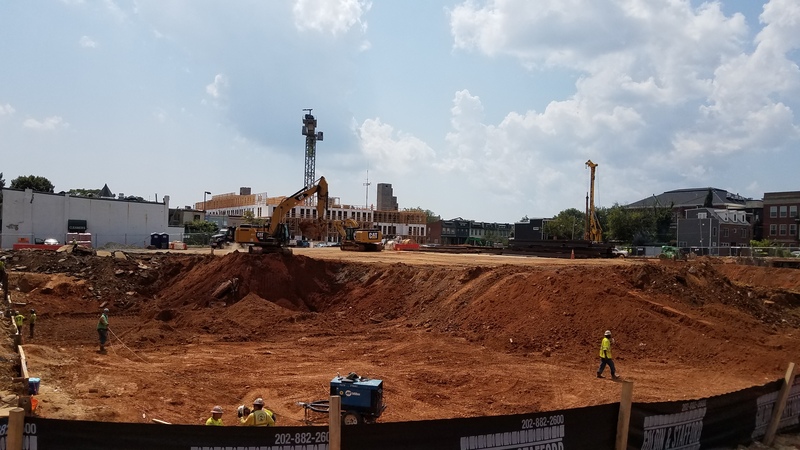 Capitol Courts is being excavated at 1234 Pennsylvania Avenue, SE. View from mid-block. September 1. The structure under construction in the background is the rear of the Shotgun House reconstruction on E Street. Capitol Courts – on the former site of the Frager’s Garden Center. The mixed use building will contain 119 units, mostly micro apartments and a few 1 BRs. The plan includes 5,000 s.f. of ground floor retail. Ten percent of the residential space will be designated for affordable housing under Inclusionary Zoning. The huge mixed use building at 1401 Pennsylvania is moving right along. View from the median strip at 14th and Pennsylvania. September 1. 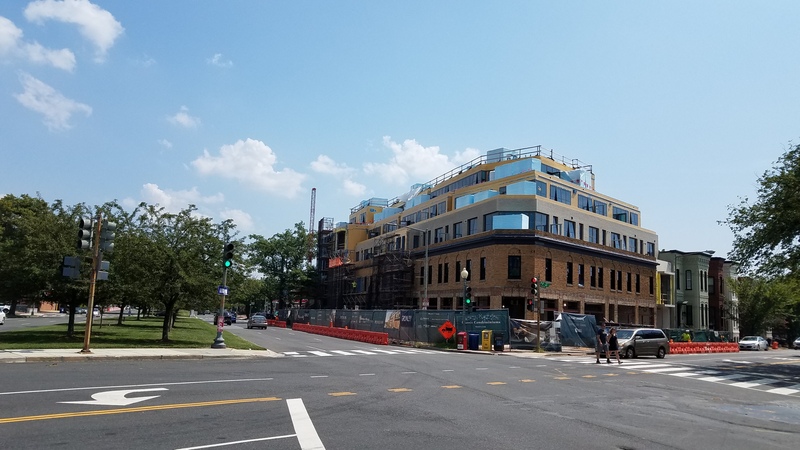 1401 Pennsylvania Avenue – A mixed use residential/retail building under construction will provide 167 apartments and 18,000 s.f. of retail. Ten percent of the residential space will be for affordable housing, with a large portion of that for family units: 4 – 3 BRs, 2 studios, 2- 1 BRs and 2- 2 BRs. 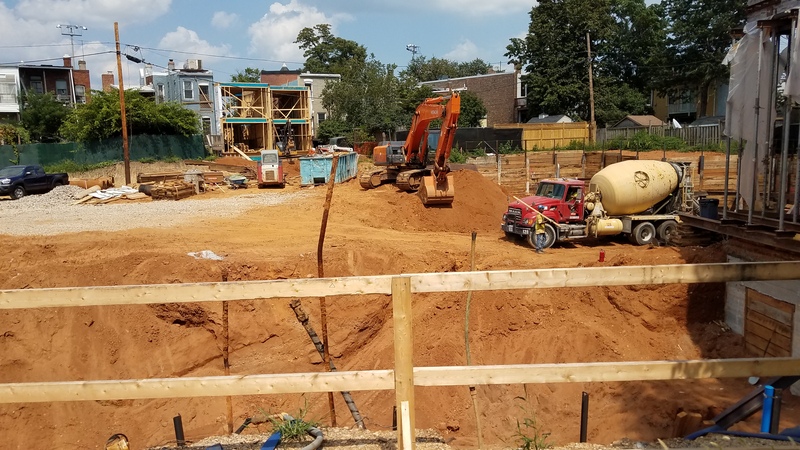 The Safeway Development at 14th and D Streets, SE is being excavated. View from 14th and D Streets, September 3. 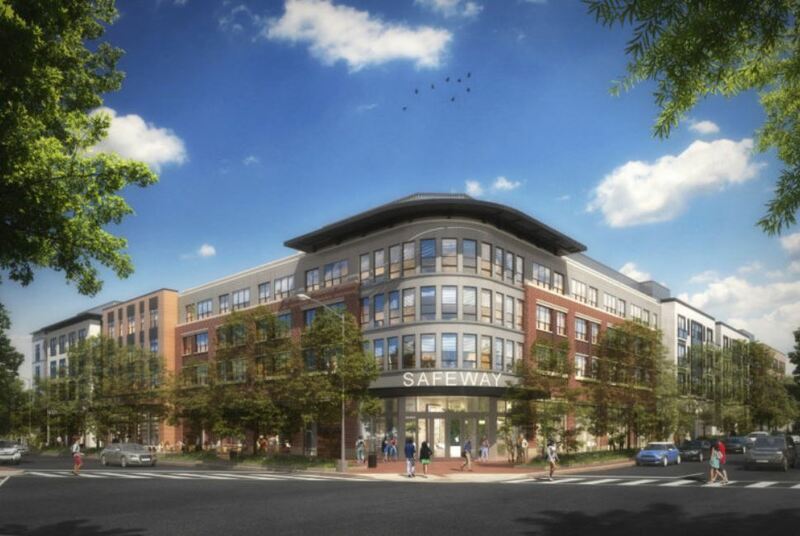 Safeway – “Beckert’s Park” – Excavation has started on the mixed use residential/retail building which will provide 329 apartments, a new 60,000 s.f. Safeway, and a couple of thousand additional s.f. of community friendly retail. The developer says that 70% of the units will be studio and 1 BR apartments and 30% will be two bedrooms. A number of penthouse apartments will be set back on the roof. Rents will be calculated at a cost of approximately $3.25 a square foot – meaning that a small 500 square foot studio apartment will rent for between $1500 and $2000 a month. Ten percent of the units will be affordable under DC regulations, at 60% of AIM – average median income. The first of two excavations is underway for the mixed use buildings project on Reservation 13. View from 19th Street near the south entrance to the Stadium Armory Metro canopy. September 3. 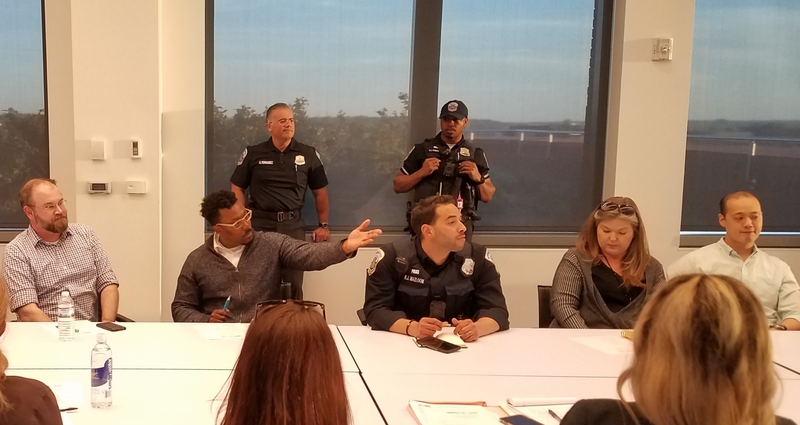 Reservation 13 – Two parcels are being developed. 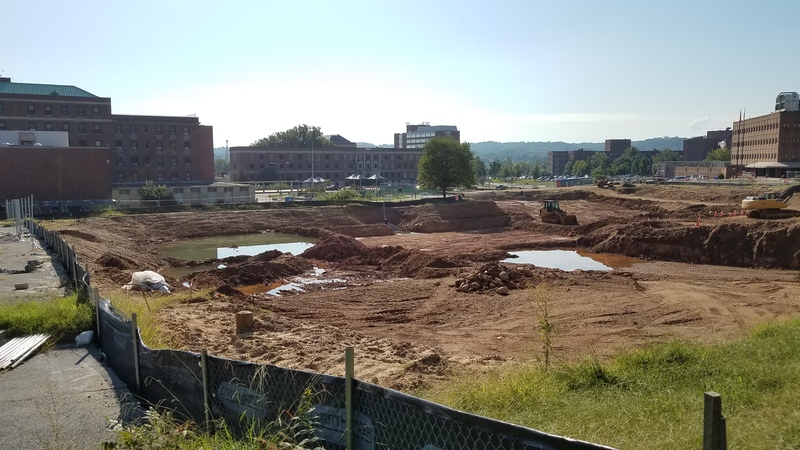 The larger building is currently being excavated; work on the smaller north building will begin in about a year, under a phased development plan. The total number of apartments in the two buildings is 353 – 262 in the south building and 91 in the north building. 106 of the units will be designated affordable. In addition, the project will provide 22,000 s.f. of retail. Capitol Hill needs an architectural review board. These are some of the ugliest buildings in DC. Too much attention is paid to saving the facades of buildings that were of little esthetic value when they were built (the Fragers site) and the others appear to have been developed from a catalog. We need to call a halt to saving structures because they are old and saving and building those that retain and add some architectural and esthetic integrity. I totally agree and would add that the whole of DC needs an architectural review board. As a capital city its esthetic value is dismal compared to other capitals of the world. Thanks, Larry. Nice to see how these projects are evolving. Maybe at some point in the future a “before” and “after” ? 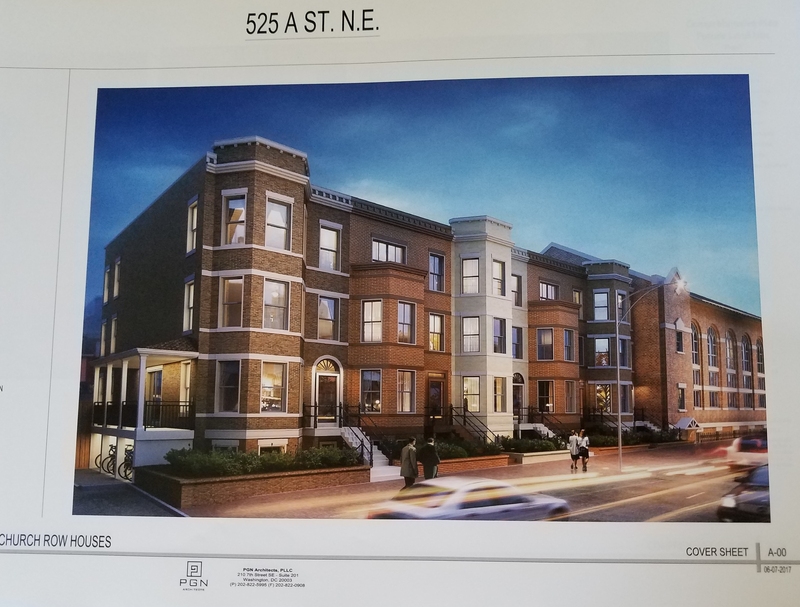 Maybe DC would have nicer architecture if the height limit and strict zoning laws didn’t incentivize developers to propose boxes that maximize livable space on a plot. The height limit is not relevant to facade or esthetic design. The Federal height limit isn’t relevant to most discussions because a vast vast majority of the District is zoned for building height. 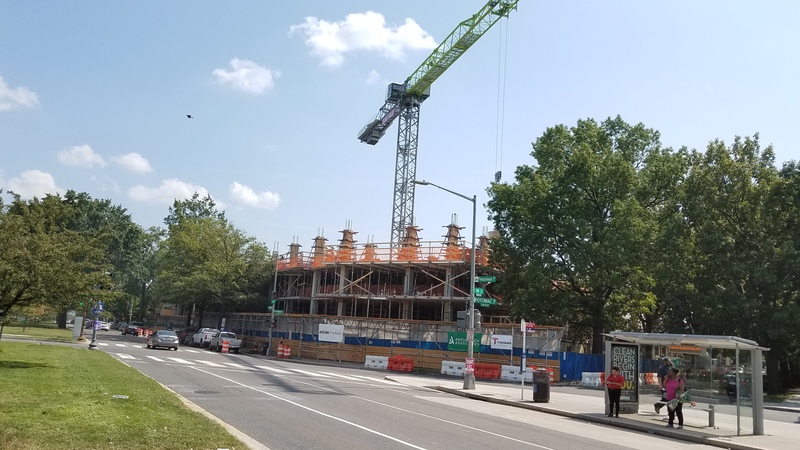 For the buildings fronting Pennsylvania Ave SE, the federal height limit is 130 feet but zoning limits buildings to 40-80 feet depending on zoning/PUD status.